Ask! So often we're afraid to ask for help because we have to admit we don't have the answers. 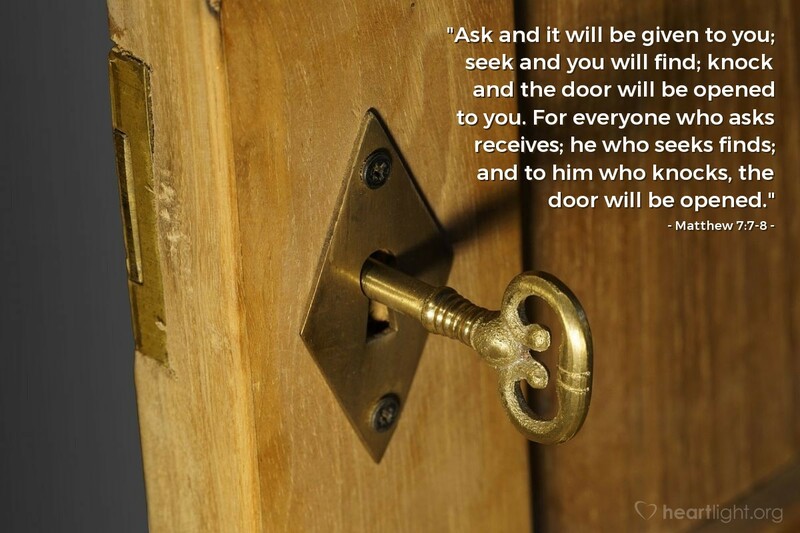 Seek! Effort and interest and perseverance are necessary and that's sometimes hard. Knock! In an era of doorbells, this is a forgotten action. But God wants us to use the A.S.K. principle and bring our hearts before him. So let's don't just whine, complain, desire, and want. Let's A.S.K. our Father and seek his glory. Waiting Father, I am sorry that so often you only hear my whines and complaints and concerns. You have been so generous with your love. Help me to keep my heart set on you and your will today as I ask you to minister to the things on my heart. Through Jesus I pray. Amen.